Toys that you build things with. The ultimate expression of a child's imagination (or an adults for that matter) is what they build with a construction toy! What kind of driver are you? Do you like to Drift through the turns or do you require tires that grip? 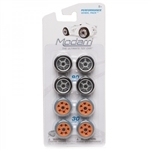 The Modarri Wheel pack is for the driver who needs options. Works with all Modarri cars. Eight wheels (two full sets) total. 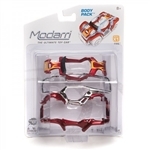 Designed for use with the Modarri Cars. Do you love hot-rods? This X1 Fire Body Pack is sure to turn some heads. Includes a hood, frame and fenders. 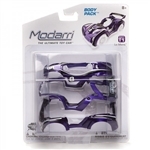 All parts interchangeable with all styles of Modarri cars. Designed for use with the Modarri Cars.The La Mans T1 Track – Body pack is inspired by the infamous race track in France. Includes a hood, frame and fenders. All parts interchangeable with all styles of cars. 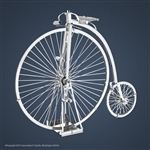 Each model features AMAZINGLY detailed laser etching and is laser cut from 11cm square sheeting. 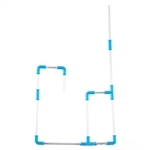 Simply pop out the pieces by hand or with wire cutters. Then connect each piece at the attachment points according to the easy to follow instruction sheet included with each model. This can be accomplished by hand or facilitated by using needle nose pliers. Assembly takes 30-45 minutes. 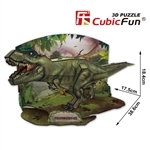 Build this 15" long 3D Tyrannosaurus Rex out of paper! Just punch out the pieces and assemble according to the instructions. No glue or scissors are required. Model included diorama background. Final model is 15" x 6.8" x 7.2". 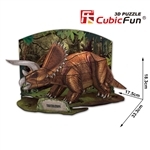 Build this 13" long 3D Triceratops out of paper! Just punch out the pieces and assemble according to the instructions. No glue or scissors are required. Model included diorama background. Final model is 13.1" x 6.8" x 7.2". 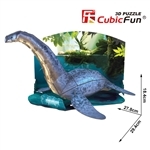 Build this 13" long 3D Stegosaurus out of paper! Just punch out the pieces and assemble according to the instructions. No glue or scissors are required. Model included diorama background. Final model is 13.9" x 6.8" x 7.2". 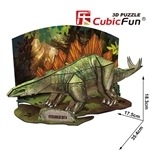 Build this 11" x10" 3D Stegosaurus out of paper! Just punch out the pieces and assemble according to the instructions. No glue or scissors are required. Model included diorama background. Final model is 11.5" x 10.9" x 7.2".